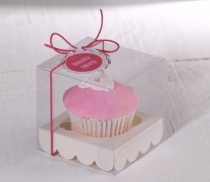 Individual, clear plastic cupcake box. 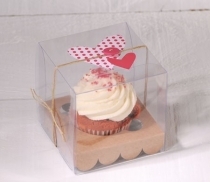 Its side opening system makes it easier to put the cupcake in and take it out. Box height suitable for any decoration. 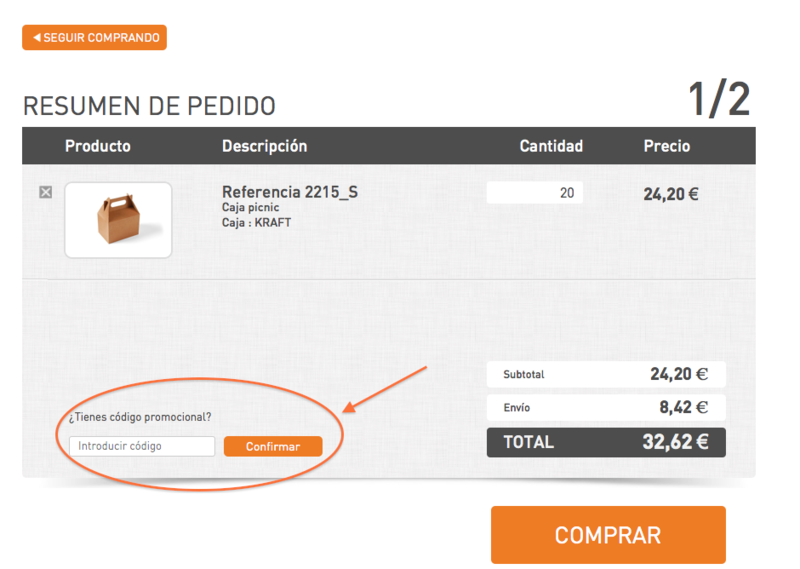 Important: Inner part is optional, so you can use it for other objects. Gap diamtre: 6 cm. 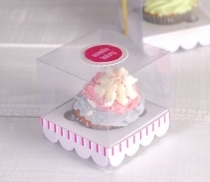 This cupcake box can be bought with or without a holder. 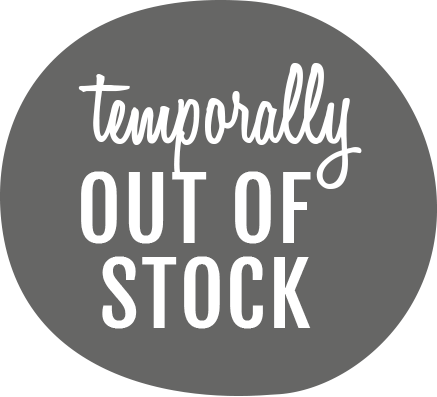 It is perfect for cookies and for bakery shops. 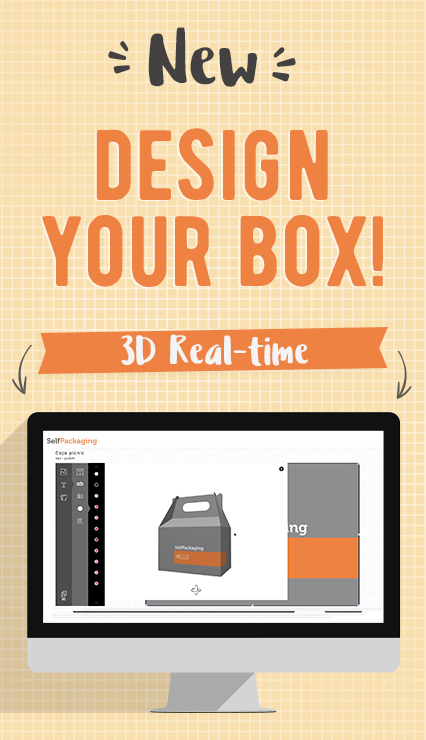 If you buy only the plastic box you could use it for wrapping any kind of gifts. 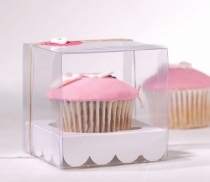 This clear plastic cupcake box is made of clear plastic to make the object inside it visible, added to it a cardboard holder (optional), available in a variety of colours and it is designed for inserting cupcakes, muffins or pastries in it. Very easy and quick to assemble, with a simple flap closure. 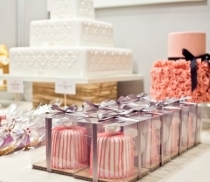 The perfect box for bakeries and sweet shops. 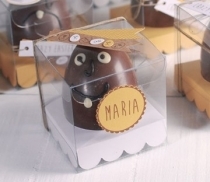 As it is made of clear plastic, the sweets you are keeping in it will glow in all their splendour. 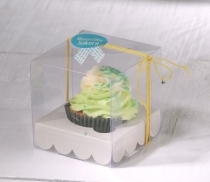 It is especially designed as a cupcake box, however, you could use it for any confectionary product. 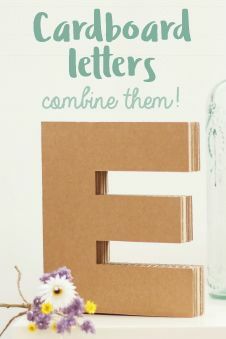 If you buy it without a cardboard holder (optional) you can also use it to keep any gift. 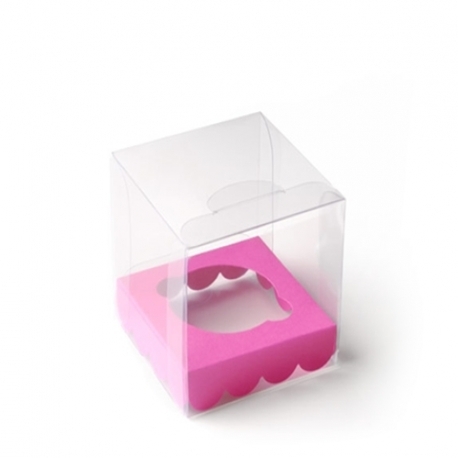 An ideal plastic box for any kind of treats!